Take a look at Blues Ladies FA WSL Sister Club short feature video, with all need to know information on the programme. 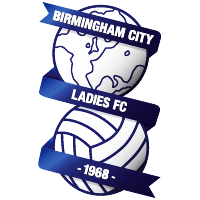 Blues are delighted to offer the opportunity for local clubs to become a sister club affiliated to BCLFC. The Sister Club Programme will give local girls club’s the chance to become affiliated with their local FA WSL club. As part of the programme, Sister Clubs will gain access to hundreds of match tickets, player appearances, coaching sessions, camps and mascot places. There are three levels of affiliation for the 2017/18 WSL season – Gold, Silver and Bronze. There will also be benefits for the coaches of our Sister Clubs, as they will be able to attend an open coaching session lead by the BCLFC Regional Talent Centre coaching team. As part of the programme Blues Ladies will also offer training camps for players of Sister Clubs, along with an annual tournament which every Sister Club is invited to take part in. More than £100,000 has been invested by the FA into the programme, which aims to drive girl’s participation at grassroots level and attendances at FA WSL matches. To register your interest in becoming affiliated with Blues Ladies, please email Sister Club programme officer and BCLFC Captain Kerys Harrop at Kerys.Harrop@bclfc.com.